Rich Gaito is seen here sailing JAYLENE KERR off Merchant Island, just south of Stonington, Maine. 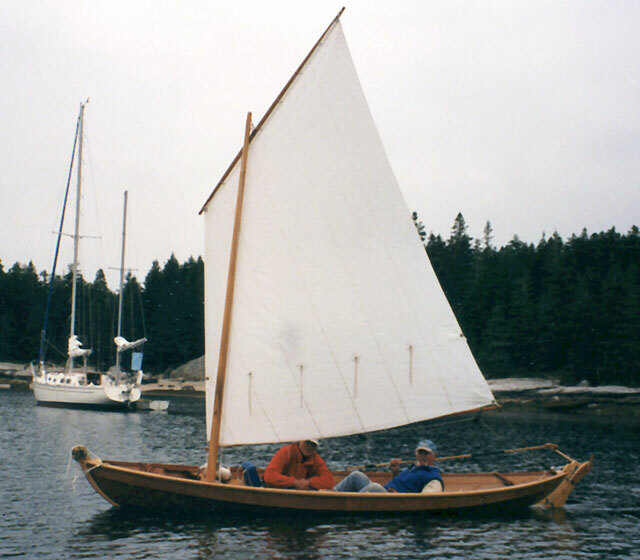 JAYLENE KERR is a Joel White Shearwater design (16' x 53" beam) that Rich built during the winter of 2001-2002. He used plywood lap construction on laminated frames. 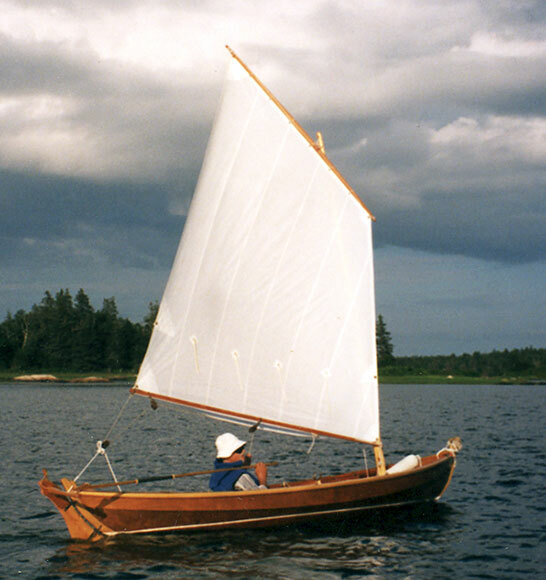 Rich uses her as a tender to his 28 foot Crocker cutter AQUILA. Rich lives in Kennebunkport, ME.